Dirceu Greco received his MD degree from the School of Medicine, Federal University of Minas Gerais (UFMG), Brazil and his PhD in Tropical Medicine at UFMG. As of 1991 he is a tenured Professor of Internal Medicine and Infectious Diseases at the School of Medicine (UFMG). Chief of the Infectious and Parasitic Diseases Service (2009-2011) and Coordinator of the UFMG University Hospital Center for Clinical Research-CPC (2005-2010), member (2007-2010), Brazilian National Research Ethics Commission (CONEP); member, Brazilian AIDS Commission (Ministry of Health). Main topics of interest and research include Infectious and Parasitic Illnesses, bioethics, public health and clinical immunology. He has participated in several working groups that gave rise to national and international guidelines related to ethics, prevention, care and treatment of HIV/AIDS and TB. He has frequently acted as temporary advisor to many national and international institutions, such as the Brazilian AIDS Programme, WHO, UNITAID, UNAIDS, CIOMS and WMA. 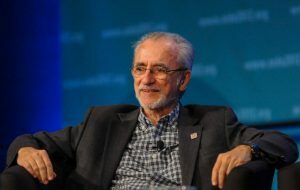 From July 2010 to June 2013 he directed the Department of STD, AIDS and Viral Hepatitis (Secretary of Health Surveillance, Ministry of Health, Brazil).